When you think back on your childhood memories what stands out to you? Perhaps it was a less complicated life where you spent most of your day playing outside, when you were not bombarded with technology at the end of your fingertips. More and more parents are actively seeking out educational programs that match this outside nature component of their childhood memories. They are quickly becoming aware of technology, and the sedentary life it provides for their children through interacting with iPads, computers, and gaming systems. The excessive use of technology in the home drives a disconnection between both children and parents on a socially. As a new parent myself, I am concerned with the amount of screen time that my child may encounter daily. I want my daughter to appreciate the wonders of nature and all of the unique play opportunities it provides. It saddens my heart that the concept of building forts has been successfully buried under the accessibility of technology. So what can be done to connect parents and children in a more authentic way and while simultaneously bringing playing out in nature back into the fold? 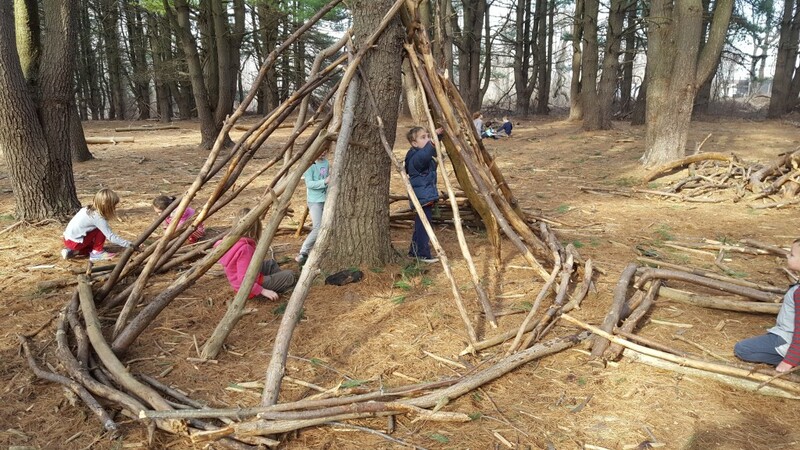 Fort building is a favorite childhood past time of mine, and I was so excited to see that this occurs at the Schuylkill Center’s Nature Preschool, particularly at my favorite play space, Pine Grove. Building forts is a multi-disciplinary activity that offers so many foundational academic skills for children of various ages. Building engages children in a unique, open ended approach because children aren’t working from a model, but are instead creating a fort from their own imaginations. This process is very powerful and provides feelings of both accomplishment and pride towards the finished product. Also, it is an inclusive practice where children will work collaboratively to move, measure, compare, and test out large tree branches to create their forts. Without any effort children are using their mathematic, scientific, social, and language skills to form these wonderful creations. Forts become an amazing way for adults and children to play together. Now don’t take my word for it, I decided to take it to our expert fort builders to attempt to pinpoint why they choose to build forts instead of playing computer games. When I asked a group of Nature Preschoolers to tell me why they preferred to build forts they had many reasons. One preschooler commented, “I want to make little forts to make houses for fairies”. When I asked another preschooler how they began building he replied, “First, make sure the tree is the right tree and that it has places for branches to go”. Our preschoolers easily express themselves through fort building, where one uses their imagination of fairies and another uses their scientific skills through observation. 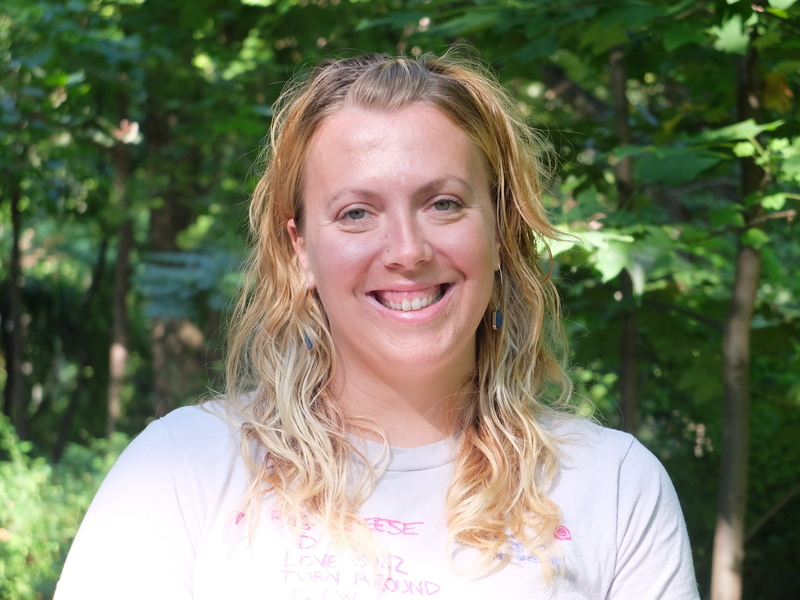 Alyssa Maley has been working at Nature Preschool for the past 2 years and has been teaching preschool for 9 years. She received her Bachelors of Science from Temple University in Elementary and Early Childhood Education. 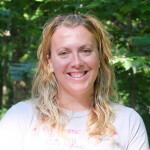 Then she received her Master’s Degree in Special Education from Arcadia University while she gained her Level 2 PA teaching certification. Alyssa fell in love with Nature Preschool during a visit to the Schuylkill Center and has enjoyed its welcoming community and sharing her appreciation for nature with the preschoolers. Alyssa grew up raising goats on a an old Pine tree farm so it’s no surprise that her favorite play space at the Schuylkill Center is Pine Grove.